Thank you to all the customers and staff at the Co-op stores in Ramsey and Laxey. Through your membership card scheme the ManxSPCA has received a massive £8,471 from the Co-op Local Community Fund! 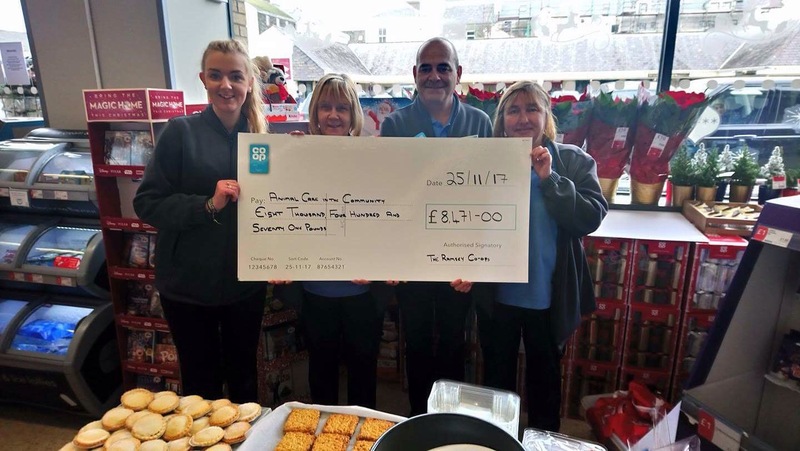 Over the past 6 months we have also raised further funds with the support of the Co-op on Christian Street in Ramsey through raffles and an in store bag pack. In this photo are Co-op Staff Kealy, Norma, John and Sue.